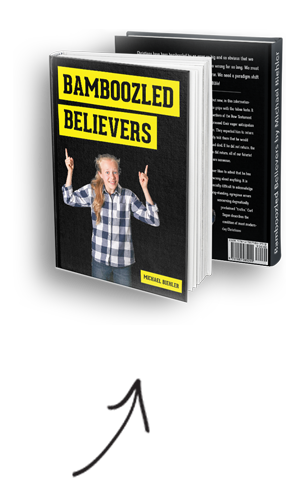 If you have missed the first part of “Bamboozled Believers’ Big Bible Blunders [Part 1of 5]” you can access it here. On The Day of Pentecost, Peter said that signs and wonders would abound in the last days. On that day 2,000 years ago, he also stated that the disciples’ ability to miraculously speak unlearned languages was a sign that they were living in the “last days.” Since we don’t see those miraculous signs and wonders today, we can conclude that we are not living in the last days today! After hundreds of years of failed prophecies issued by pulpit pounding Christian demagogues, maybe it’s time to reevaluate our “last days” doctrine. The answer is an emphatic “Yes!” Jewish historian Josephus reports that in AD 70, Roman armies killed 1.1 million Jews and he also tells us that 97,000 survivors of the siege of Jerusalem were sold into slavery. That “Day of the Lord” meant the end of the Old Covenant Jewish religion. Malachi predicted that God would send Elijah before the “great and terrible Day of the Lord.” And Jesus said that John the Baptist fulfilled that prophecy (Matt. 11:13,14), so the “great and terrible day of the Lord” must have happened shortly after John’s time. We are not living in “the last days” before the “end of the world” either. Do you know that Jesus never predicted the “end of the world”? He predicted the “end of the age”… the end of the age of animal sacrifice and temple worship. Yet modern pseudo-prophets quote Peter and Jesus to tell us that we are living in the last days of planet earth.